Located at 20310 Wirt St, in Elkhorn, NE we serve all of Douglas and Sarpy Counties, including the Omaha Metro area. From Dodge Street, turn north on 204th St and drive approximately 1 ½ miles. Turn right on Wirt St. You will arrive at the home of beer, wine and liquor in the Omaha area – Big Dog’s Beverage! From Maple Street, go four blocks south on 204th St. 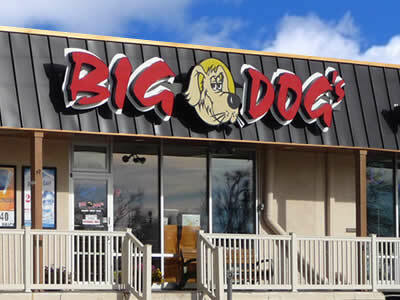 When you need beer, wine and liquor in the Omaha area, call Big Dog’s Beverage in Elkhorn at (402) 289-0770.